All our handmade upholstered sofas are created with great care and attention to detail to achieve the ultimate in comfort and style. 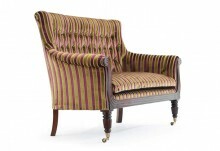 Each design is made to order and you can alter the size and cushion requirements to suit. We offer 4 standard sizes in each design but can make any of our sofas to any length so your sofa is perfect for you.